I have been honored to be awarded two blogging awards! It is so nice to know that people are reading my articles and like what I have written! 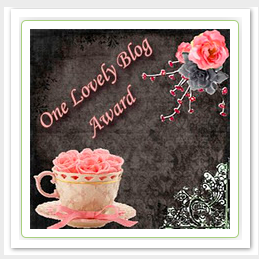 I have been awarded "A Lovely Blog" award 3 times! The first one came from Wise Owl Factory which is a wonderful website full of resources for teachers and homeschooling teachers. She offers book reviews and wonderful printables that children truly enjoy! The second one came from Miss L's Whole Brain Teaching another wonderful teaching blog full of new ideas for the classroom. The third award came from Mrs. P's Ed Tech Talk which is all about elementary educational technology. Mrs. P also awarded me the Versatile Blog Award. Now, I get to award these two awards to those blogs that I enjoy reading and think do an awesome job! Be sure to check these blogs out. 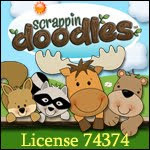 They provide wonderful ideas, activities and information. If you received the awards: Now it is your turn to award one or both of these awards to blogs that you enjoy! Please feel free to put the award on your blog somewhere. When you write your post about the awards please link back to Strings, Keys, and Melodies! Welcome to our Fun with Music series! 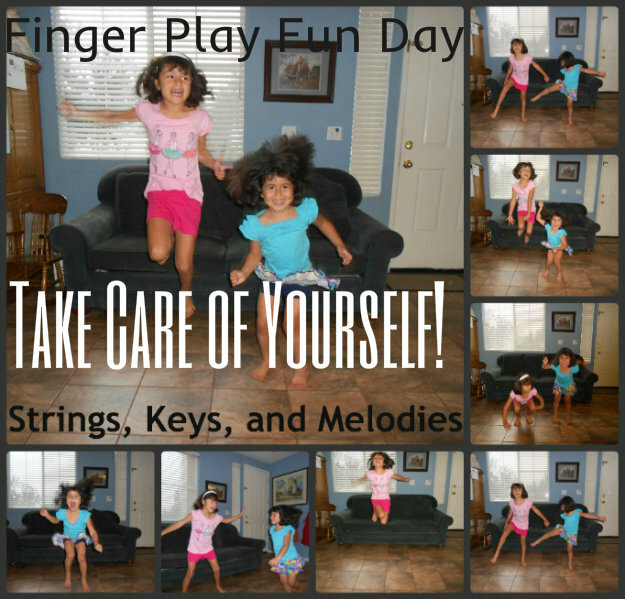 Angelique Felix and I have been writing about fun ways to engage our children in music. Today's topic is Kid-Made Instruments and the Great Outdoors. Kids love crafts-especially the ones that make a lot of noise! There are a lot of ways to make instruments that make music. Now, I will be the first to admit that I am not very crafty or talented making things with my hands. So I like projects that are extremely easy with very few supplies. My number 1 go-to instrument is the Paper Plate Tambourine. Color the plate any design. Fold the plate in half and fill it with beans. Staple the outside edge of the plate so the beans don't fall out. Ta-da! You have a tambourine! Fill the bottles. This is a great fine-motor building activity. It takes a bit of concentration to get the small objects in the water bottle's small opening. We wrapped the outside of the tubs with the wrapping paper. If you put the paper on inside out the outside will be white and can be colored any design. Tap on the lid of the drum for a nice hollow sound. Run the spoon up and down the ridges for a wash-board kind of sound. This instrument is extremely easy but is one of the most popular! It is amazing that something as plain as a tin can will make such an interesting sound. After making our instruments, we sang a bunch of songs such as The Alphabet Song, and Twinkle Twinkle Little Star. The girls enjoyed it so much they kept singing for about an hour even after I went back into the house! 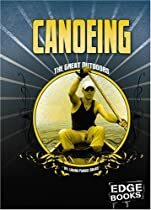 You are probably wondering where the great outdoors is in this post. Well, we made all our instruments and played our orchestra while outside! Music doesn't always have to be a solemn occasion while sitting silently in a chair. We can take our fun outside and let the whole neighborhood hear! We sang while playing our instruments but other times we put on a CD and kept time with children's music and classical music. Welcome to the Fun with Music series that I am doing in collaboration with play expert, Angelique Felix at angeliquefelix.com. Read the first week's Fun with Music post that introduces the series plus highlights a lot of music ideas for you and your family. Read the second week's Fun with Music post that was all about Singing and Song Writing with Your Children. Today's theme is Playing with Classical Music and Art. This activity will get you and your child to really listen to the music. Step 1: Listen to Stars and Stripes Forever by John Phillip Sousa. John Phillip Sousa is known for his American patriotic music. Stars and Stripes Forever is known as a parade march. When you listen do not tell your children anything about the song and do not let them see a picture representing the song. Just listen! We listened to this version of Stars and Stripes Forever on YouTube. Step 2: Ask your child what pictures come to mind while listening to this song. Do you think of a story? Do you see different colors? Is it a happy song? Is it dark and gloomy? When I asked my daughter what she thought of the Stars and Stripes Forever, she said "parade" so I bet she recognized it from somewhere. But then I asked her what colors it made her think of and she did not say red, white and blue. She said red and yellow! Step 3: Get out the art supplies. The supplies can be simple paper and crayons or you can get elaborate with watercolors or paints. Then while you play the song again ask your child to draw the story and emotions of the song. My daughter did a wonderful picture of a parade. She drew about 11 men who looked like they were a part of a marching band except they didn’t have any instruments. Their hats were red and yellow like she said but she did add blue pants. So it is almost a patriotic picture with red and blue with a splash of yellow on their hats! Take two! We did this project again using a completely different song: Bach, Toccata and Fugue in D Minor. Bach wrote this piece for the church but we often associate it with something dark and scary. But don't tell your children that! While you listen ask them what they think when listening to this piece. What colors does it make them think of? Is there a story going on in the minds? For this song, we got out the watercolors to make our pictures. This time my girls thought the song made them think of a dark forest. So they drew trees, a bear and a waterfall. Composers write music to convey feelings and emotions. Take the time to really listen to music and you will find the ups and downs in the music and the story the composer is trying to tell you. Children learn best when they are having fun! Teach them to listen carefully to music by having them draw or paint a picture while listening to a piece of classical music. Finger plays are a fun way for children to learn music, math, reading and motor skills! 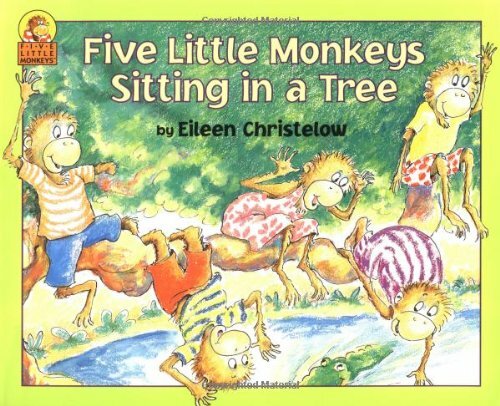 This week we will be singing 5 Little Monkeys Jumping on the Bed. This finger play helps children learn to count backwards and works on finger coordination, rhythm and timing. I had so much fun last week making the felt duck finger puppets that I made some monkey puppets this week. Before you watch the video you can make your own finger puppets. My dear friend, Carolyn, at Wise Owl Factory prepared a printable of monkey finger puppets that are available for downloading. So print them out and get ready for some fun! 1 fell off and bumped his head. 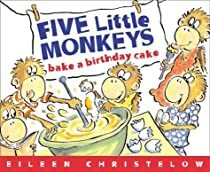 To continue the monkey fun, we have a 5 Little Monkey printable. Each page has monkeys to cut out and glue on the picture. The numbers count backwards from 5 to 1. Be sure to check out Carolyn's monkey post on Wise Owl Factory. 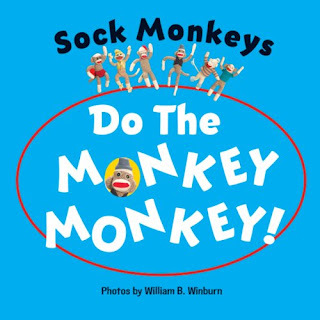 She has written a review on an adorable book : Sock Monkeys Do the Monkey, Monkey! 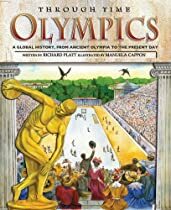 I have this book available in Our Music Store. If you buy it through us, we will get a few pennies! Come back next week for another new Finger Play Fun Day video! This article is part of our Fun with Music series. I have teamed up with Angelique Felix at angeliquefelix.com to bring you ideas on having fun with music with your children the whole month of July. Read last week's Fun with Music post that introduced our series and listed a lot of different musical ideas for you and your family! This week is all about singing with your children and inspiring them to create their own songs! Children love to sing! Visit any playground and you will hear children singing and humming as they play. Music is a social activity and children get so excited when an adult joins them in making music. So if you need motivation to sing with your child then just think of the delight on your child’s face when you start singing with her! Ms. Tonya leading music time at the local library. Children love having their name in a song. I wrote about the importance of this in The Purpose of the Hello Song. Pick songs that are simple and fun. They don’t have to be difficult. The Wreath Dance is a great song that gets everyone moving and calls each child by name. Watch this video to learn how simple it is. Singing songs with children lays groundwork for language growth, reading, speaking and self expression. Making music also teaches math and science and could help your child do better in school. To read more about the advantages of music education read The Benefits of Music. After you sing a song a few times, see if you and your child can change the words. Put your child’s name in the song as well as some of her characteristics. We love to do this with "The Good Day" song. They always say good day. 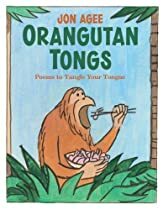 After singing this song using different animals, we like to put in different family members and try to think of what they would say in the morning. The little girls get so creative! Plus, they remember what they made up days and weeks later. For more ideas on writing songs with children visit Write a Song with Your Child. I have found that children’s favorite songs are the simplest songs. Pick a simple song or two and sing with them! Then start changing the words and have fun being silly. Your child will be delighted and you’ll have fun too! Singing together shows love and creates wonderful memories! 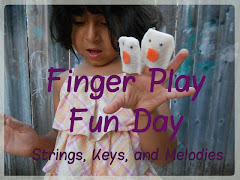 Each week I will demonstrate a finger play that you can do at home or in the classroom. Finger plays are a great teaching tool. Children learn best while having fun and engaging with their whole bodies. 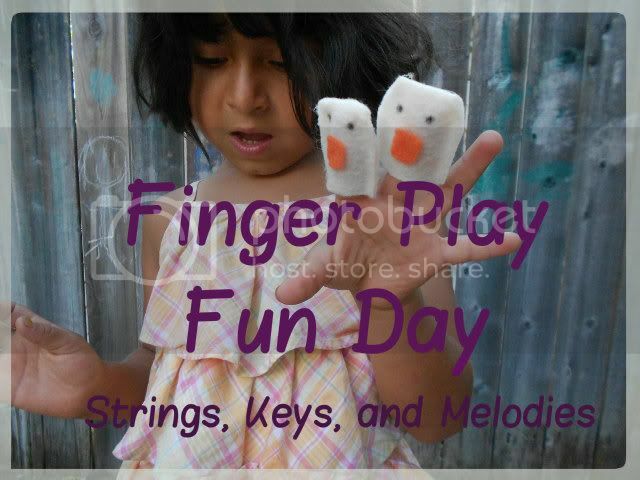 Finger plays teach math, reading skills, rhyming, social skills as well as fine motor skills! Today's finger play is Five Little Ducks. In the video, I use little finger puppets that I made after I saw a cute post by The Iowa Farmer's Wife. I made several sets for my girls too! Check back next week for a new Finger Play video! In the science community there is the big question: "Which came first, language or music?" There have been studies done tracking the cries of babies and they have found that babies cry at musical intervals. There is also a universal singing/call that all children around the world use to call for "mommy". Plus, there is the universal sing-song children use when teasing one another - "na-na-na na-na". Music comes very naturally to children. As parents and teachers, we need to help them develop their musical instincts and abilities. We can do this in a fun, playful way while everyone is having a great time. 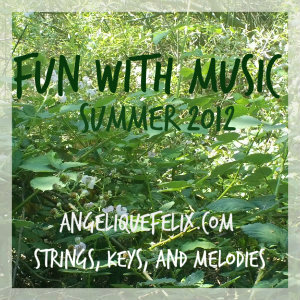 This July, I have teamed up with Angelique Felix at angeliquefelix.com to bring you a series called "Fun with Music." 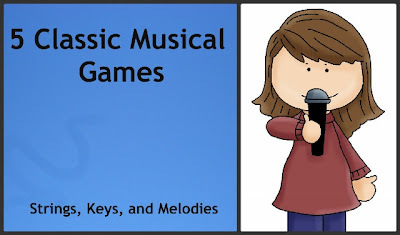 Angelique is a play expert and has some wonderful ideas on playing with children and music. Read her first Fun with Music post. I love music and believe the best learning comes through play. This series will be all about playing with music! Each week we will both bring you musical ways to play with your children. Week 1 will have ideas on singing with children and helping them boost their creativity to create their own songs. Week 2 will be about combining drawing and painting with music. Week 3 will have ideas on making musical instruments at home! Week 3 will be all about musical games. Music is relaxing and stimulating! Everyone can make and enjoy music. It is a wonderful way for families to connect. I have written many family music ideas in the past.